There are lots of good foods that can boost your immune system to build up your resistance, but if you do catch a cold or get a bad case of the flu there are also many (non stodgy) foods which can help ease your symptoms, as well as speed up recovery. Although feeling run down and sick can often ruin your appetite, it really is important to stay well-nourished and hydrated to help your body fight off infection. So what should you eat? That age old cure of a bowl of chicken soup might be seen as an old wives’ tale, but as with many traditional remedies, studies have found that it is actually true. It’s not just chicken soup that’s good to eat. Hearty soups or stews, full of vegetables and lean meats, give you the protein and nutrients you need to fight off a cold or flu. Zinc is a great immune system booster. Studies have shown that zinc, taken within 24 hours of the onset of symptoms, can shorten the duration of colds. Good foods rich in zinc include shellfish such as oysters, poultry, beans, nuts, whole grains, pumpkin seeds and sesame seeds. They may make your eyes water, but spicy foods such as hot sauce, wasabi, peppers, chilli or spicy sauces can help to temporarily open sinuses and ease congestion. Be careful though – spicy foods have a tendency to upset stomachs, which isn’t good when you are already feeling the worse for wear. These are a great source of potassium, a mineral which is often lost due to fever and vomiting. They also contain vitamin B6, which helps your body fight infection. Vitamin A is important for maintaining a strong immune system and strengthening your mucous membranes, so when you have a cold, make sure you eat more foods containing this vital vitamin, such as sweet potatoes, carrots, squash and spinach. Vitamin C is not only important for boosting your immune system; studies have also shown that it can help get rid of your cold faster, so try eating more foods such as strawberries, broccoli, bell peppers, sweet potatoes and tomatoes. 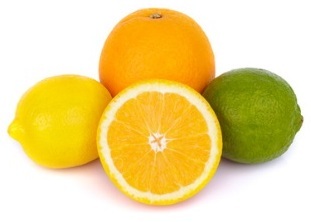 Citrus fruits such as oranges, lemons, grapefruits and limes are especially rich in vitamin C. The soft white layer of skin found on these fruits contains flavonoids, which can help boost the immune system and are also great for speeding up recovery. Another food from the fruit family which is great to eat when you have a cold or flu is blueberries. Studies have found that blueberries contain more antioxidants than many other fresh fruits, so eat up to help keep your body strong and able to fight that infection. The live, friendly bacteria in yogurt can aid your immune system response to give you that added edge when fighting a cold. The majority of your immune cells live in your gut, so keeping them happy with friendly bacteria is a good notion. Oily fish rich in omega 3, including herring, mackerel, salmon, sardines and tuna, help reduce harmful inflammation in the body, lessening the severity of symptoms, as well as having pain relieving benefits. Hydration is so important when fighting a cold or flu virus. Cardiff University researchers found that hot drinks can help ease sneezing, sore throats, chills, and tiredness – perfect for fighting off the common symptoms of cold and flu. Herbal teas such as green tea, camomile tea and peppermint tea are all great choices due to their cold & flu busting benefits, as well as hot drinks such as warm cordials or A. Vogel Echinaforce Hot Drink. 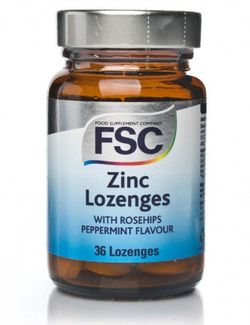 This is just what you need to help fight off symptoms such as aching limbs and headaches when you are struck down by the cold or flu. Echinaforce Hot Drink combines fresh Echinacea root and herb extracts with Black Elderberry (Sambucus nigra) to produce a soothing and palatable hot drink. Another great choice is Atkins & Potts Rosehip Syrup. Dilute with hot water as a soothing drink for a cold. Rosehips are high in Vitamin C.
Dairy – in some people, dairy products such as milk and cheese can actually increase the production of mucus, so it may be wise to avoid them until you have recovered from your cold or flu. Sugar – this is a very common immune suppressor. It also competes with vitamin C, which is good for the immune system. Fatty Fried Foods – eating lots of fatty foods makes our immune cells lazy, making them too weak to fight off infection efficiently, so keep them to the minimum, especially when you have a cold. Alcohol – drinking excessive amounts of alcohol also weakens your ability to fight off infection as it will disorientate and confuse your immune cells. It’s not just you that will get a little fuzzy headed! A well-nourished immune system is better equipped to fight off infections, so eat up your good, non-stodgy food to beat that cold or flu!